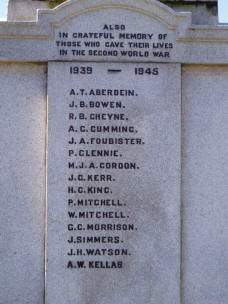 Methlick War Memorial – Dedicated to the men from the district of Methlick, Aberdeenshire, Scotland, who gave their lives in the First and Second World Wars. 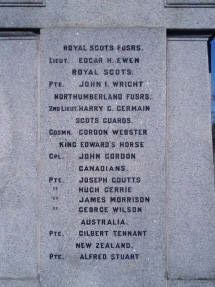 This site is dedicated to the memory of the men from the district of Methlick, Aberdeenshire, Scotland, who gave their lives in the First and Second World Wars. 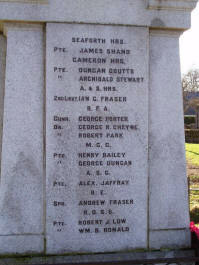 In addition to the men commemorated on the War Memorial, I have also given details of other local men who have family graves at Methlick churchyard but who are not listed on the memorial. 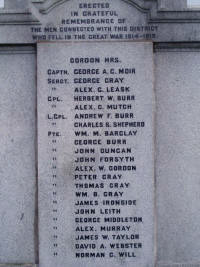 If you have any additional information regarding any of these men, or if you have photographs that you would be willing to share, please contact me using the link above. We are updating the site.